It would appear that the aquarium themed television show market is expanding. Following in the footsteps of Animal Planet, Nat Geo Wild is releasing their own tv show that follows another aquarium building company. 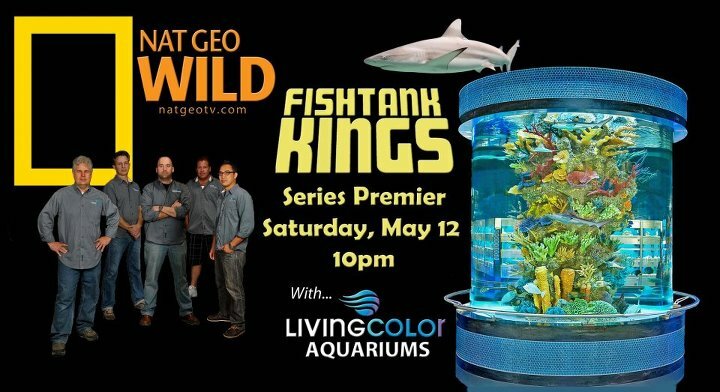 Called “Fishtank Kings”, the show will presumably follow the large Florida-based aquarium designers and manufacturers, Living Color Aquariums, as they install over the top aquariums in widely varying locations. We say “presumably” because there’s just no information floating around about the upcoming show, which is set to air on May 12th at 10pm EST according to the promotional flyer above. Though we don’t know a whole lot about the upcoming show, we do know a lot about the company the show is based on. Living Color Enterprises Inc. was founded in the late 1980’s and has grown to be one of the largest aquarium manufacturers in the country. Living Color has received several awards for their work and has worked for some high profile clients like Disney, Universal Studios, Sea World, and Rainforest Café to name a few. On top of that, you’ve probably seen their work in the movie Deuce Bigalow, as well as on CNN and the Discovery Channel, among others. 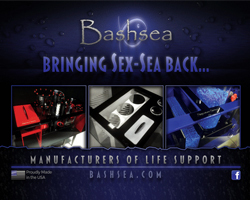 In addition to building aquariums, Living Color also distributes many different aquarium products. Besides their own brand of RO/DI units and salt mixes, the company also distributes New Era Aquaculture fish foods, which our fish have fallen in love with during a recent product review. Like with any media casting the public eye on our hobby, we are cautious of what may come of this new television show. The Animal Planet show, “Tanked”, has let us down in many respects. They did things in their inaugural season that were far different than the day-t0-day tasks of the average hobbyist. 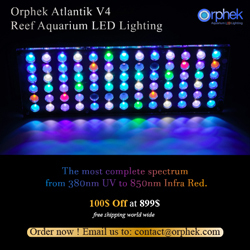 We understand that things work a bit differently in public aquariums and large scale installs, but there were no disclaimers or information telling viewers of the show (i.e. current and potential aquarium hobbyists) that the techniques displayed were not suitable for at home aquarium keeping. We are really hoping Living Color Enterprises has read all of the criticisms of “Tanked” and display our hobby in as responsible a way as possible. An official press release is supposed to be released later today, and when it does we will update accordingly. Thanks for the heads up, Louis. I was excited to see this show. After looking at their site, I noticed that alot of their builds use fake coral and decorations. I would rather watch a show that highlights real tanks and not “pimp my ride” type tanks. I really hope they do things right, I cant stand all the fake coral……. and the lack of educational content. I always finish the show wishing I learned something, yet…… nothing.